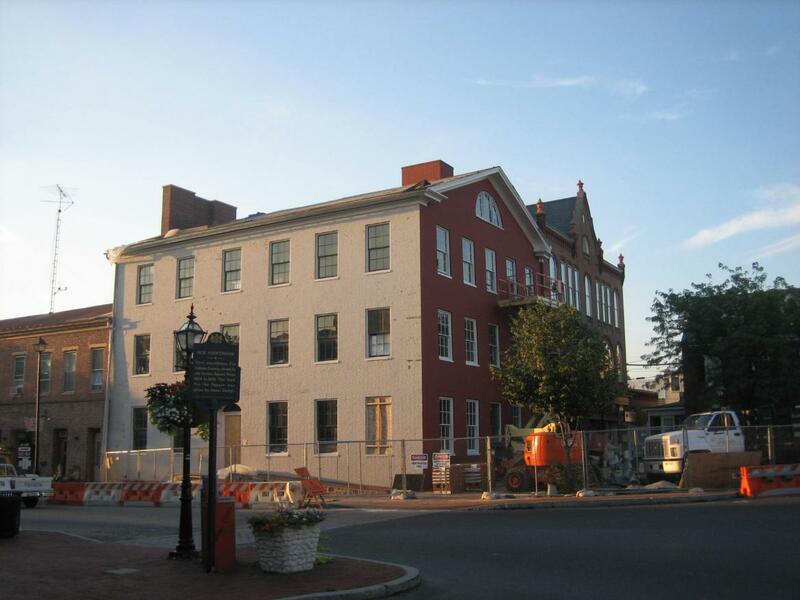 Only the west side of the Wills House, where President Abraham Lincoln spent the night before giving his Gettysburg Address, has been painted red. 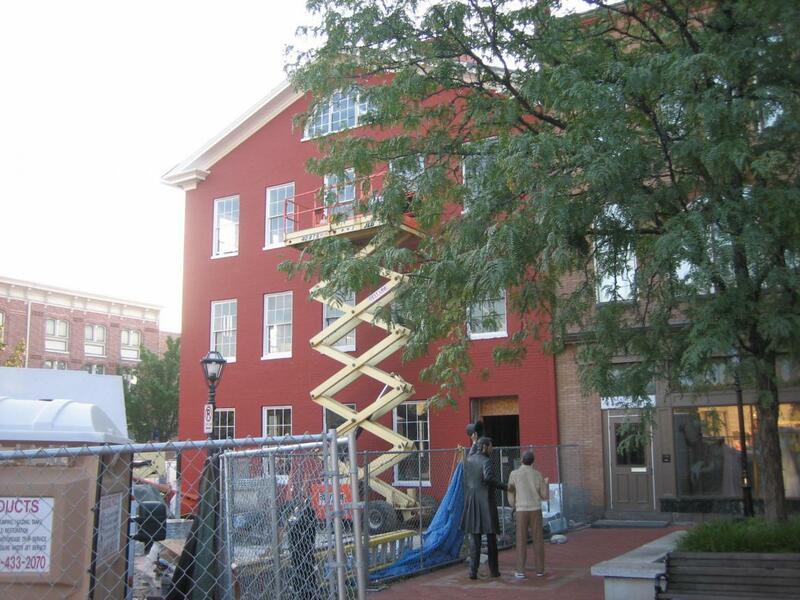 Work began last week on changing the color from gray to red, and two coats have been applied to the west side. The north and east sides are still gray. This view was taken from the northwest facing southeast at approximately 7:00 AM on Tuesday, August 19, 2008. The painting of the Wills House, where President Abraham Lincoln spent the night before giving his Gettysburg Address, has not been completed. 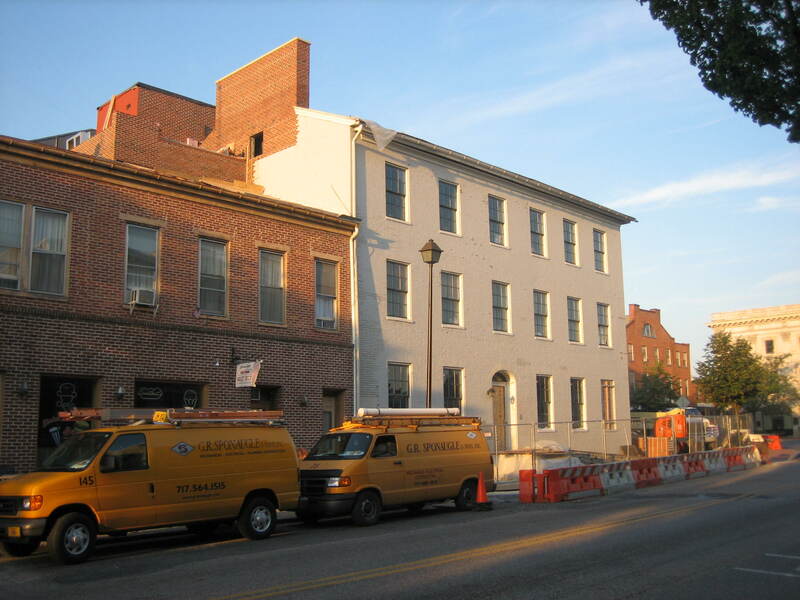 The new red color on the bricks is part of an ongoing renovation for the buildings to become a National Park Service museum and visitor center. The red bricks will have a white stenciled outline. The sidewalk in front of the Wills House was supposed to be accessible by August 4, 2008, but that has not yet happened. 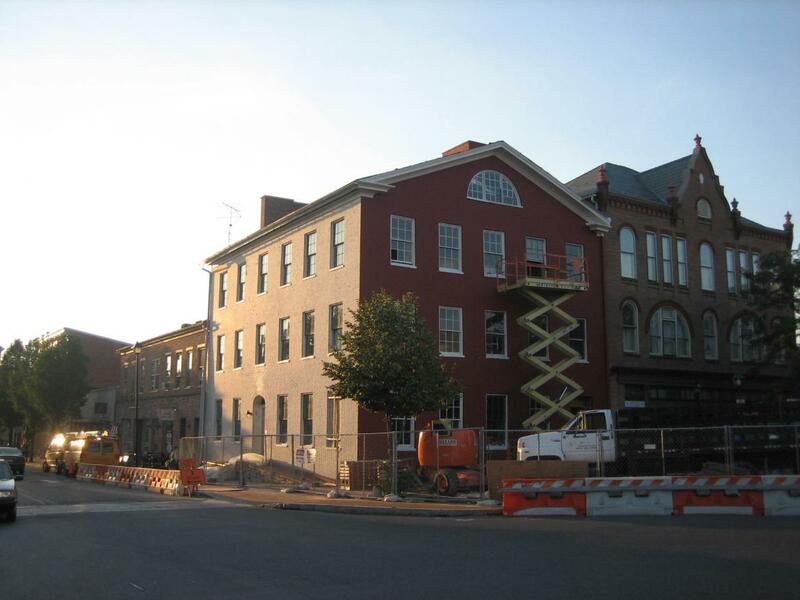 See our previous posts on the Wills House’s painting and its sidewalk on July 21, 2008 and August 13, 2008 and our posts on the Diamond at Gettysburg early in the morning of March 2, 2008. The red bricks are supposed to have a white stenciled outline. The painters were not working on the outside of the building this morning. This view was taken from the southwest facing northeast at approximately 7:00 AM on Tuesday, August 19, 2008. The east and north sides of the Wills House have not been painted red. 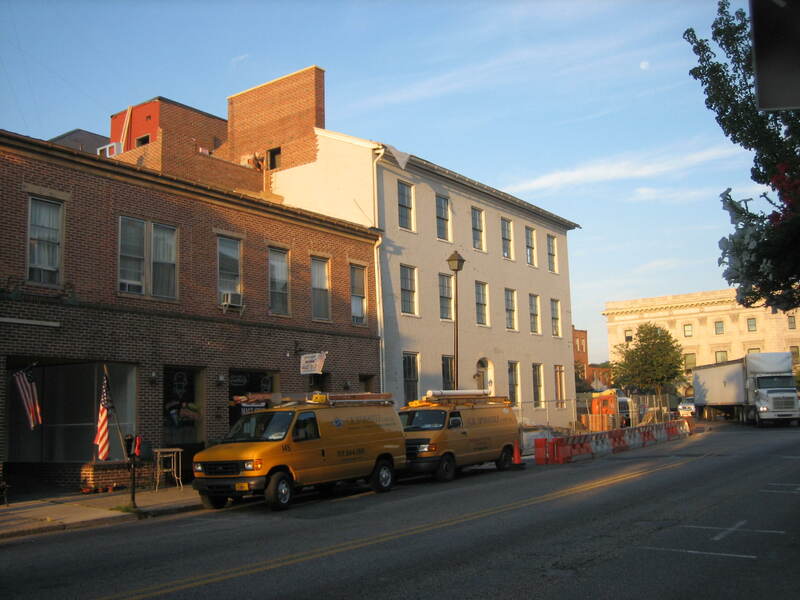 There was still masonry work being performed on the landing above the red brick building to the left of the Wills House. This building was the location of the Tyson Brothers Photo Gallery in 1863. This view was taken from the northeast facing southwest at approximately 7:00 AM on Tuesday, August 19, 2008. The sidewalk on the north side of the building has most bricks layed. More might have to be placed before the painters can move their lift around to the north side of the structure. This view was taken from the northeast facing southwest at approximately 7:00 AM on Tuesday, August 19, 2008. The sidewalk was supposed to open by August 4, 2008. National Park Service plans to open the Wills House on President Lincoln’s birthday, February 12, 2008. This view was taken from the northwest facing southeast at approximately 7:00 AM on Tuesday, August 19, 2008.